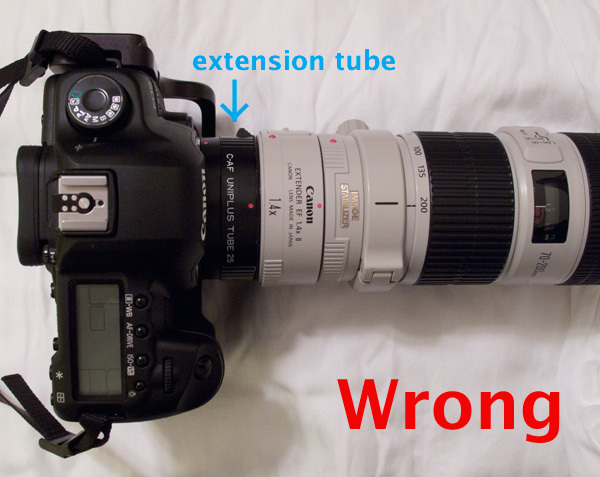 So, attaching the teleconverter and extension tube in the wrong order can cost you six inches! That may not seem like a lot, but it can certainly be the difference that allows you to fill the frame with your subject. Filling the frame is important for a couple of reasons: it helps you get a sharper shot, and it’ll help you get a more out of focus background because it forces you to get close to your subject (remember the three things that affect depth of field). Thanks for the tip. I’ve been thinking about getting a tube and would certainly have put it next to the camera body had you not told me differently. This is especially valid as I use the same 300mm lens and 1.4x as you. I’ve recently been having lots of fun photographing dragonflies, butterflies and other cool bugs. There have been a few times where I just couldn’t get close enough and be able to focus. I Haven’t got to the stage of extension tubes and teleconvertors yet. Sorry to digress; I have shed aside my kit zoom lens for a while, and am experimenting with my prime 50mm. 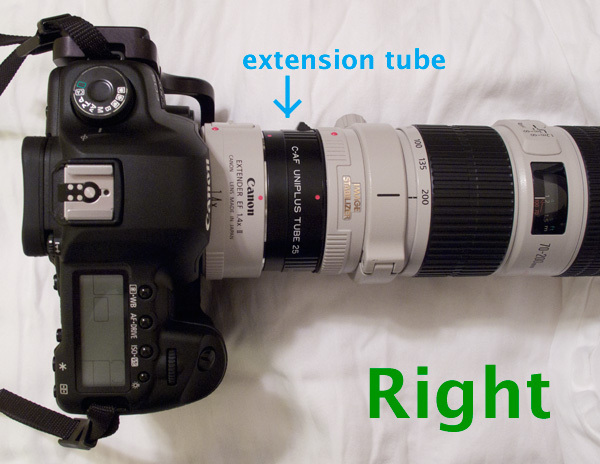 By the way, is it possible, with the use of the extension tube, to add two long focal lens lenses, so as to produce a short focal lens? @Bill – Cheers to the 300mm! The extra 12 inches that the 25mm extension tube gives you can really help sometimes for smaller flowers or butterflies. btw, you can save about $50 if you get the Kenko tubes over the canon (I use Kenko and they seem to work fine for me). 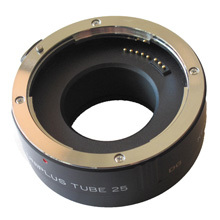 @Tiberman – I’m not sure if it’s possible to connect two lenses together, but I know you can’t do it with the standard extension tubes.. they’re really just meant to extend the distance of the lens from the focal plane to allow you to focus closer. @Don – Hmmm, I should have been more clear in that table, sorry! By “teleconverter first” I meant “the teleconverter is attached to the lens first”.. so, with the teleconverter against the lens and the extension tube against the body, you lose 6 inches of distance. Thanks for the informative post, Steve! What do you think about the NEW TCs? Are they a good upgrade?